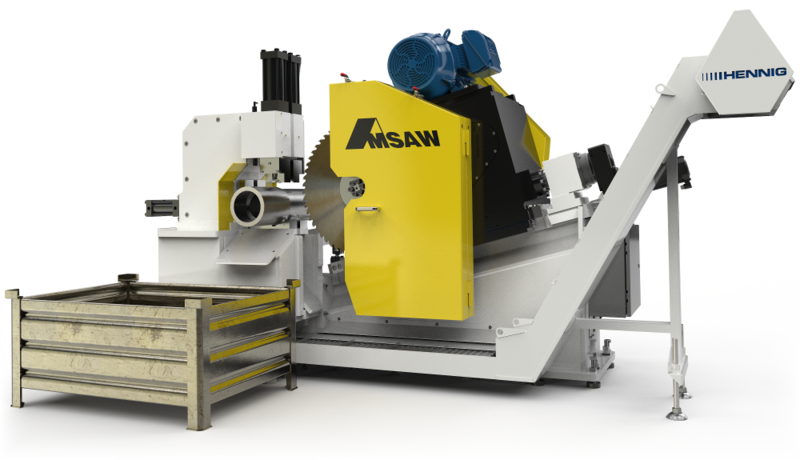 S-Series Billet Saw - Heavy Duty Slide Saw | Advanced Machine & Engineering Co. Available with horizontal, vertical, or angular head feed arrangements, this heavy and rigid design features a base that’s filled with vibration absorbing compound to drastically reduce vibration. The gearbox slide is lined with low friction, vibration absorbing liners which minimize the slip/stick affect while guiding on large, hardened box-ways. The cutting stroke of the slide is pre-loaded to eliminate any play. The oversized gears are hardened and ground to low backlash tolerances, which guarantee long service life.